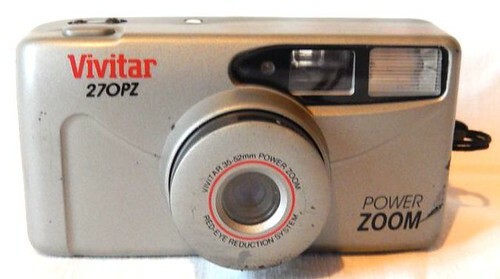 The Vivitar 270PZ is yet another late-1990s 35mm film compact camera. This particular one has a zoom lens, a built-in flash, red eye reduction, autofocus, motor-driven film advance, and requires two AA batteries to operate. This page was last edited on 16 October 2017, at 02:34.